Andhra Chief Minister N Chandrababu Naidu is learnt to be too keen on shifting significant government departments and IAS officers from Hyderabad to Vijayawada and areas nearby the new Andhra capital Amaravati. Although, Hyderabad was declared joint capital for 10 years, Naidu wants to evacuate AP government offices functioning from Hyderabad to Vijayawada and then accommodate them in offices that will come up in the AP capital region of Amaravati as soon as possible. Naidu is spending at least five days a week in Vijayawada, directing officers to put together temporary infrastructure to receive offices and officials from Hyderabad. 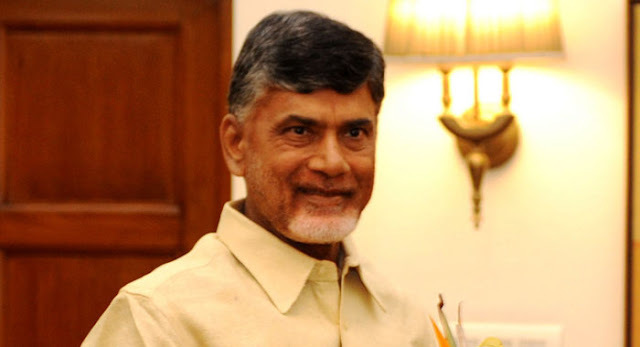 The acrimonious relationship with his Telangana counterpart K Chandrasekhara Rao, the cash-for-vote scandal and allegations against Naidu by Telangana Anti-Corruption Bureau, and general animosity against Andhra origin employees by Telangana employees has apparently prompted Naidu to expedite the shifting of Andhra office from Hyderabad to Vijayawada and nearby areas close to the upcoming capital of Amaravati. Several Telangana leaders have questioned Naidu why he was hanging around in Hyderabad when he does not belong to Telangana State. At an impromtu meeting held in Vijayawada today, a peeved CM Naidu sought a report immediately from the Government Officers Committee formed to oversee shifting of government employees, stating that they were already several weeks behind schedule in submitting their report. The Committee headed by Jawahar Reddy, principal secretary (Panchayat Raj) and four other IAS officers informed the Chief Minister that there are approximately 12,000 employees who should be shifted immediately. But, they were a little reluctant to disturb their childrens’ schooling by shifting in the middle of academic year. Reddy informed the Chief Minister that Medha Towers, Vijayawada, a start of the art plug and play building has ready-to-occupy space for official purposes,’’ an official said. “Those departments which have buildings in the new capital region can accommodate employees in their offices. And, those departments without offices in the region can scout for accommodation and it will be taken care of by government. Ensure that you facilitate this transition smoothly,’’ CM Naidu told the Committee. Naidu also asked members of Government Officers Committee involved in transition if exclusive special bus service can be operated from Hyderabad to the Capital Region for employees. Discussing about the plan for October 22, the day Amaravati’s foundation stone will be laid, the Chief Minister asked the Capital Region Development Authority (CRDA) to design and construct a pylon which will become a symbol of Andhra Pradesh citizens’ pride. “Explore whether we can develop the location of the pylon as a beautiful public park or like a central public centre,” he added, continuing that on-ground works should begin from that day. CM Naidu also that CRDA should focus on beautification of the region. “Urban development has to happen on massive scale. Canal development, river beautification works should happen, roads and plantations have to dot the city. If we begin this process now, this will build the momentum to building a world-class capital city. Along with focusing on the development of Amaravati, we also need to focus on peripheral beautification of existing cities and towns in the capital region and districts. This will instill confidence among and reflect our commitment,” the Chief Minister explained.